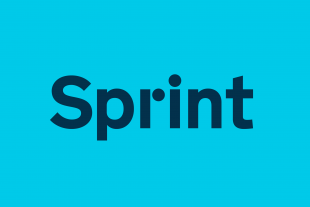 We believe that having an inclusive and diverse team makes GDS better and more effective. We’ve posted before about why an inclusive culture is so important. Inclusion is about allowing people to be themselves at work, and embracing everyone’s differences. It’s not just about minorities, gender or sexual orientation – it’s about accepting and respecting everyone for who they are. And that includes mental health. Everyone has mental health, just as we all have physical health. And most of us experience poor mental health sometimes. It might just be a bad day or feeling stressed, but it can also mean a longer-term mental health problem. We have a responsibility to make sure GDS is a healthy place to work, where everyone feels able to talk about their mental health and ask for support if they need it. Back in September 2016, David Heath held two sessions on mental health as part of the GDS unconference. They were really popular and generated lots of discussion about how mental health issues can affect us at work and what we could do together to make GDS a more supportive and healthy place. We formed the GDS Mental Health Network as a result. The network is focused on improving support for anyone at GDS who is affected by poor mental health (whether directly or indirectly), and protecting and promoting good mental health for everyone. We’re lucky to have Nic Harrison, Director of Service Design and Assurance, as the GDS Mental Health Champion. He’s supporting us to achieve these goals because he wants to make sure that GDS is a place where people can be themselves, are able to speak honestly about how they’re feeling and are supported by their colleagues and line managers. 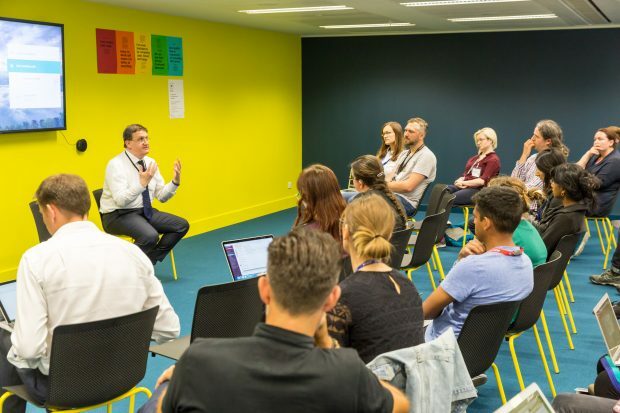 Rupert McNeil, Chief People Officer for the Civil Service, came to GDS to speak with us about mental health and wellbeing within the Civil Service. We were keen to spread the word about the network and our aims within GDS. We also wanted to find a way to promote positive wellbeing, provide comfort to people who might be having a bad moment at work, and encourage people to talk about mental health. 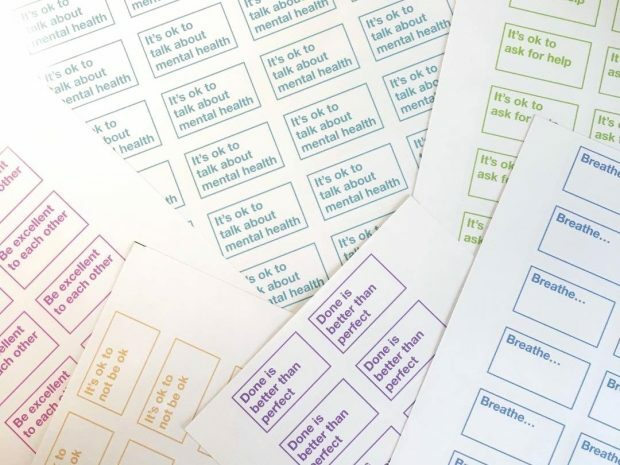 The network came up with a list of mental health messages – some of which took inspiration from the GDS ‘It’s ok’ poster and Alyson Fielding’s practical action stickers. We voted for the messages that spoke to us the most, and shared them on the laptops and walls of GDS. We all find it hard to talk about our mental health at times. Whether it’s because we’re worried we’ll be judged, or it’s difficult to put into words, talking can be tough. We think it’s extra important to remember you’re always allowed to talk about what you’re feeling – even at work. Everyone has good days and bad days, and if you’re having a bad day there’s nothing wrong or weak or lazy about that. It’s just a bad day. You’re allowed to not be ok. If you’re struggling, often the hardest thing to do is to speak to someone about it. But talking about it with a friend, colleague or your line manager can be the first step towards getting support. You deserve support, and it’s never weak or wrong to ask for it. You never know what else is going on with the people you work with. Our colleagues are human beings who may be suffering, or having a bad time. Being supportive, empathetic and respectful of each other can make a huge difference to how able we are to manage our mental health at work. Taking regular breaks is really important for wellbeing. If you’re having a difficult moment, taking a step away from your current environment can help you to find some calm and perspective. And you might find things like breathing exercises, meditation or mindfulness can help your mental health and build resilience. You might find you set yourself unreasonably high expectations and end up feeling anxious or like a failure if you can’t do everything perfectly – even if you’ve still achieved something really great. Remembering that you don’t have to be perfect to do a good job can make a big difference to your mental health at work. You can download the sticker designs and the poster designs to print your own. If you’re affected by any of the issues raised in this post, please know that you are not alone – it’s ok to ask for help. You can call the Samaritans any time of day or night on 116 123 or email them. Love the stickers - going to print some off for my stressed and anxious teenager! !